This is (Call Sign) and the name is (your Name). Control for tonight’s net is (Call Sign) and my name is (Name). 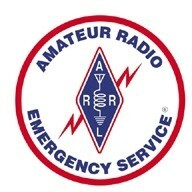 This Net is conducted using the Moreno Valley 440 repeater. The net is held every Thursday at 1900 hours except the first Thursday of the month to avoid conflict with the MVARA Club meetings. 6235 River Crest Drive in Riverside and also start at 1900 hours. This a directed Net. Please direct all traffic through this station. to the net to please also check-out of the net when you leave. This is new and very important when participating in an emergency situation. any emergency or priority traffic? If so, please come now. Are there any announcements for this net? If so, please come now. net early please indicate that you are doing a check-in and check-out early. After the completion of check-ins, visitors will be invited to check in. Are there any late or missed members? If so, please come now. Is there any further traffic for the net? If so, please come now. We would like to thank the City of Moreno Valley for the use of the 440 repeater during our net. returned to its normal operation.